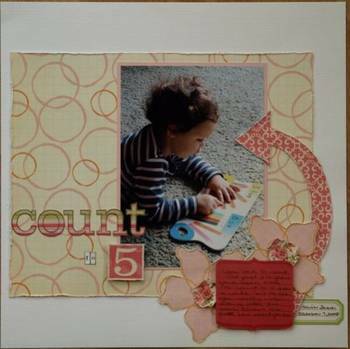 My pick for this week goes to Erica for her "Count to 5" layout. For me, this is what scrapbooking is all about; capturing the everyday moments that are so easy to forget as time goes by. Well done Erica, you will always have this sweet reminder of your little girl as she learns to count. I love the soft look of the Scenic Route papers you chose. Great layout! I am a big fan of one picture layouts and this one popped right out at me from the Gallery. How adorable are those kids???? I loved the little borders underneath the picture and how the colours are soo perfect for the black and white photo. 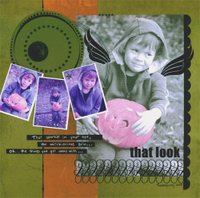 A few weeks ago as I was looking through the gallery, a digital layout by Jennifer (littlekiwi) caught my eye. 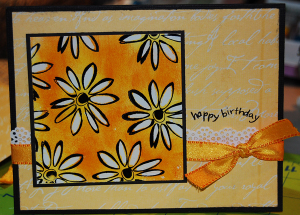 This layout titled "Show" is a fabulous layout Jennifer! 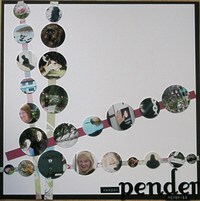 I was especially inspired by her use of the circle with photos tucked behind it! 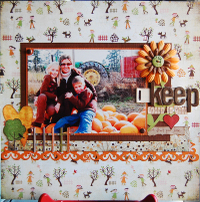 Here is a layout I did completely inspired by Jennifer's circle. I challenge you all this week, to use this layout as an inspiration, and post your layout in THIS forum thread! Whenever I hear STASH CHALLENGE, I always reach for rub-ons. They are, by far, the most neglected item in my scraproom. Today I challenge you to grab a package of loved (but neglected) rub-ons and use at least FIVE images on one layout. Who loves Fall? I know I do! Autumn is my favourite season -- the crisp cool air, visiting the pumpkin patch, Halloween and Thanksgiving. I love the change in colour of the leaves as the landscape transforms to rich red, orange and brown hues. 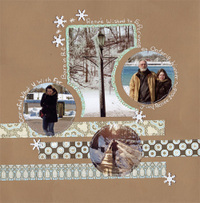 This layout was inspired by the colours of the season. Today, I challenge you to find inspiration from the seasons, whether it's colour, texture or theme. Have fun! 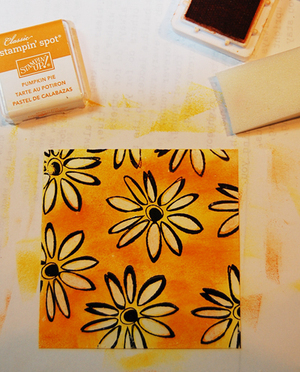 today I want to tell you about a fun technique called "Crayon Resist". 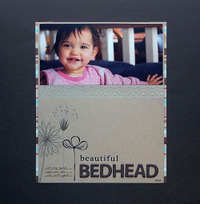 You will need glossy paper, StazOn ink, a white crayon, little sponges and your choice of colour ink. 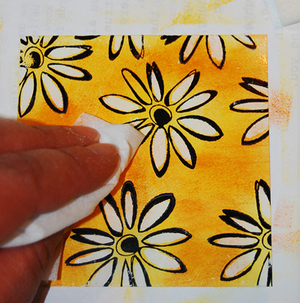 With a little sponge (I use make-up wedges) dab ink all over your piece of glossy paper, even over your stamped and coloured in images. I used 2 colours, lighter one first and then added some darker shade randomly all over. 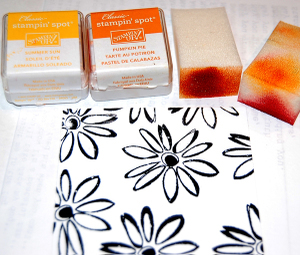 Let the ink dry for a couple of minutes and then wipe off your stamped images (I used a paper towel). 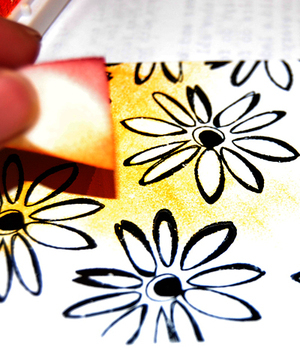 The ink will not stick to the parts that have been coloured in with the crayon and the result is fabulous. 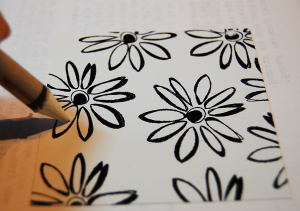 After this last step, assemble and finish your card. This is a fun technique and I hope you will give it a try one of these days. .
Hope you all have a turkey filled Thanksgiving weekend - I am sitting by the campfire typing this - doesn't get any better. 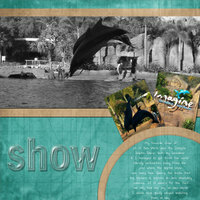 This week's Gallery Pick goes to Erica (MamaPod) for her two layouts "Roots" and "Wings." What do I love about these two layouts? ~I LOVE that there's so much meaning and thought that went into these two layouts. They're precious! 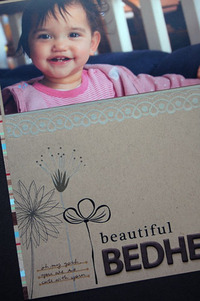 ~I LOVE to see all you 'Flower Girls' using your POTP kits! ~I LOVE that Erica was inspired by the tree from Sonja's layout. The design team puts a lot of work and effort into their kit uploads, and it's great to see others benefit from it! 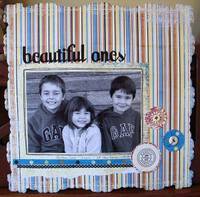 Thank you Erica for sharing your scrapbooking talents with us! "Live life fully while you're here. Experience everything. Take care of yourself and your friends. Have fun, be crazy, be weird. Go out and screw up! You're going to anyway, so you might as well enjoy the process. Take the opportunity to learn from your mistakes: find the cause of your problem and eliminate it. Don't try to be perfect; just be an excellent example of being human."